Apples are pretty synonymous with Fall. The temperature starts dropping, the leaves change color, and apples are ready for picking. 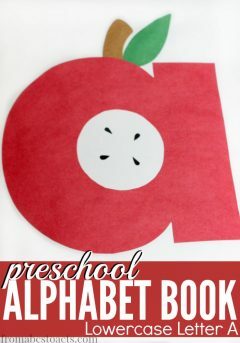 Since A is also the first letter of the alphabet, the beginning of the school year seems like the perfect time to work our way through our Apples preschool theme. Here you’ll find all of our fun apple activities that you can use to put together you’re very own preschool apple theme. Just click on the pictures below to view the corresponding posts.